The definition of myth is a belief that is widely held but false in nature. Believing a myth may actually be giving you the wrong information, which can put you at risk. When it comes to hearing, there are many myths that we as a society believe but shouldn’t, as it can not only hurt our hearing, but prevent us from getting the help we need to hear better. Here are some of those common hearing-related myths that you need to stop believing. Hearing loss only occurs in the elderly: Very, very wrong! Although hearing loss may increase with age, new reports suggest hearing loss is affecting younger persons more so due to being exposed to loud noises constantly. Other factors that increase the risk of hearing loss are certain medications and noise exposure on the job or during recreational activities. Hearing loss in one ear is ok: Just because your hearing loss is contained in one ear doesn’t mean it won’t affect your ability to locate sounds along with understanding conversations in louder environments. 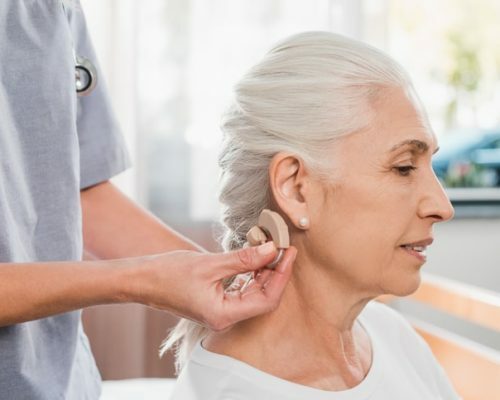 Hearing aids make your hearing completely normal again: Although hearing aids have the ability to improve hearing, you won’t hear how you once did prior to hearing loss. Hearing aids have come a long way, so their improvements to hearing are far greater today then they were years ago, but you do need to have realistic expectations or else you could be let down. There’s nothing that can be done for hearing loss: Believing this myth can leave you living a pretty miserable life. There are several different causes and types of hearing loss, so you have options in regard to treatment. Speak to your doctor about your options. It’s very rare that you suddenly lose your hearing all at once, so unless you get tested, you may not be fully aware of the changes occurring in your ears until its too late. Ensure you have your hearing checked regularly and that you’re taking the necessary precautions to prevent further hearing loss. Is your heart causing your hearing loss?